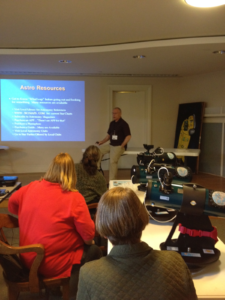 Recently, fifteen librarians received training on how to view the night sky and on using a telescope. Why? 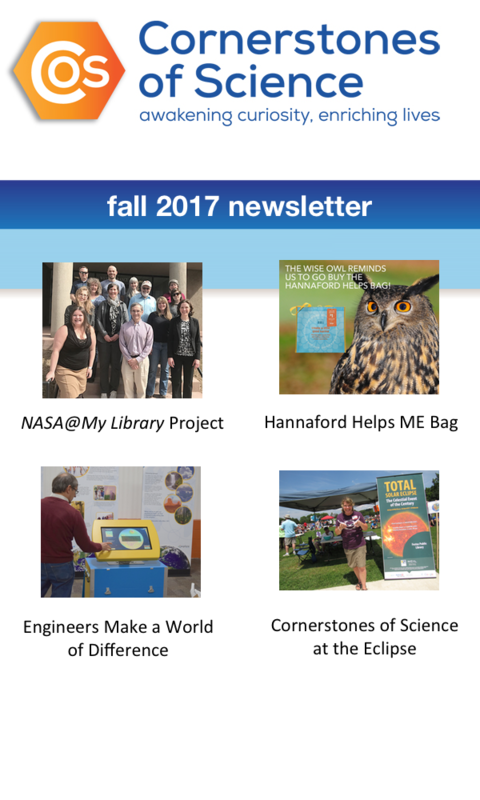 Well, from a few different grants and an anonymous donor, Cornerstones of Science was able to award Orion StarBlast Reflector Telescopes to libraries based on their submitted essays and on their current science activities. Over thirty applications were received and ten libraries selected. Being awarded the telescope was just one part of the package of astronomical resources and support each library received. The Orion StarBlast Reflector telescope is modified by Cornerstones with the help of Southern Maine Astronomers. The telescope is ruggedized and made more user friendly so that it is a loanable scientific tool. The telescope is part of the STAR program (sharing Telescopes and Astronomy Resources) and part of Cornerstones’ Loanable Scientific Tools Initiative. 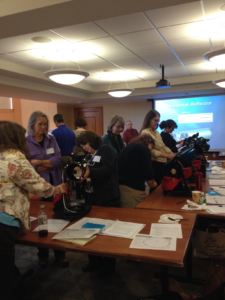 Click here to read more and to see the list of libraries awarded telescopes! Astronomer Ron Thompson and four librarians from around Maine. board members from around Maine.